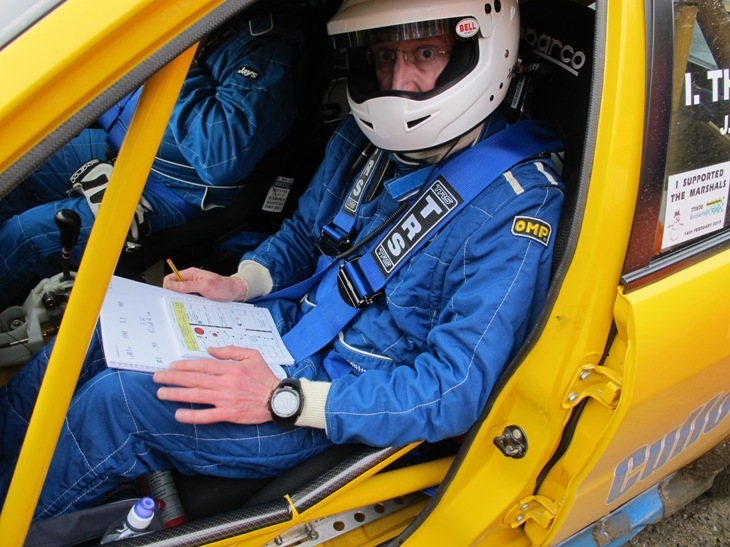 More comprehensive than the AA, more extensive than the RAC and more colourful than Green Flag, Scotmaps provides an essential service when it comes to rallying and Scotland, and in particular to the Scottish Rally Championship. Former top co-driver and extreme navigator (he could get you lost in a one-way street) Bill 'Lucky' Sturrock is the proprietor and driving force behind the service, providing Scottish rally competitors with a full Route Note Book and filmed route DVD plus Service/Management Pack service. 'Lucky' is now so electronically and technologically advanced (he's smarter than a Smartphone!) that he's now on 'soshal meedja'. Going forward it might just be worth keeping an eye on his Facebook page prior to each round of the national series where no doubt we will get pics and comments on conditions to be faced as each round approaches. Bill has done more miles in Scottish forests than a bus load of Forestry Commission pensioners so he knows his way around and his observations could provide us with a unique, behind the scenes, insight into the sport.